Provide your own fingerprints to create a unique inviation. 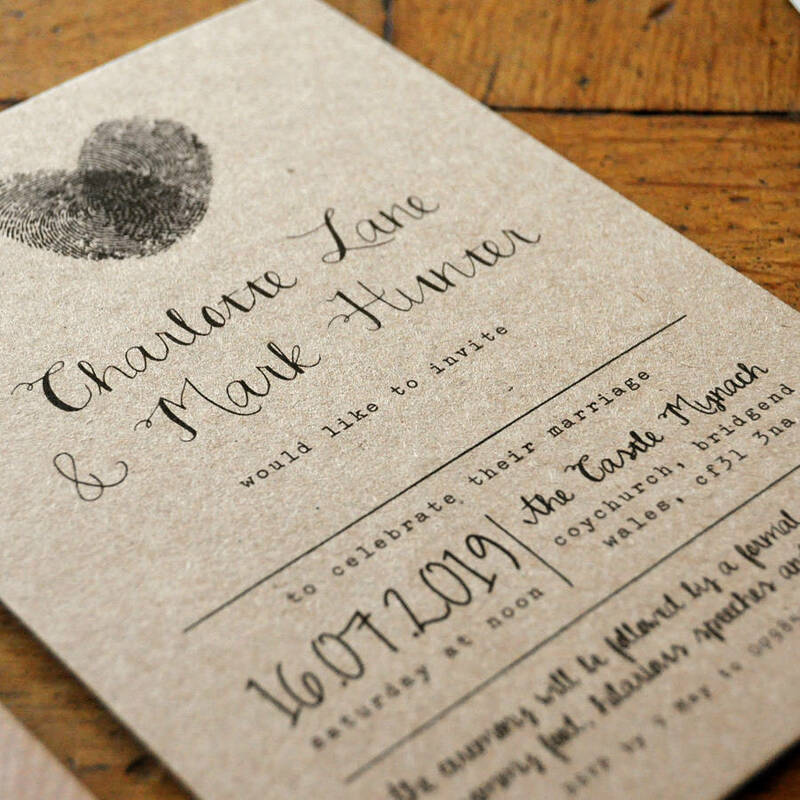 Ideal for rustic country weddings, and to ensure your invites are one of a kind! Your guests will love these exclusive British designed & made wedding invitations which are made from kraft eco card or luxury white textured card. Featuring a unique vintage design & a crisp print finish. 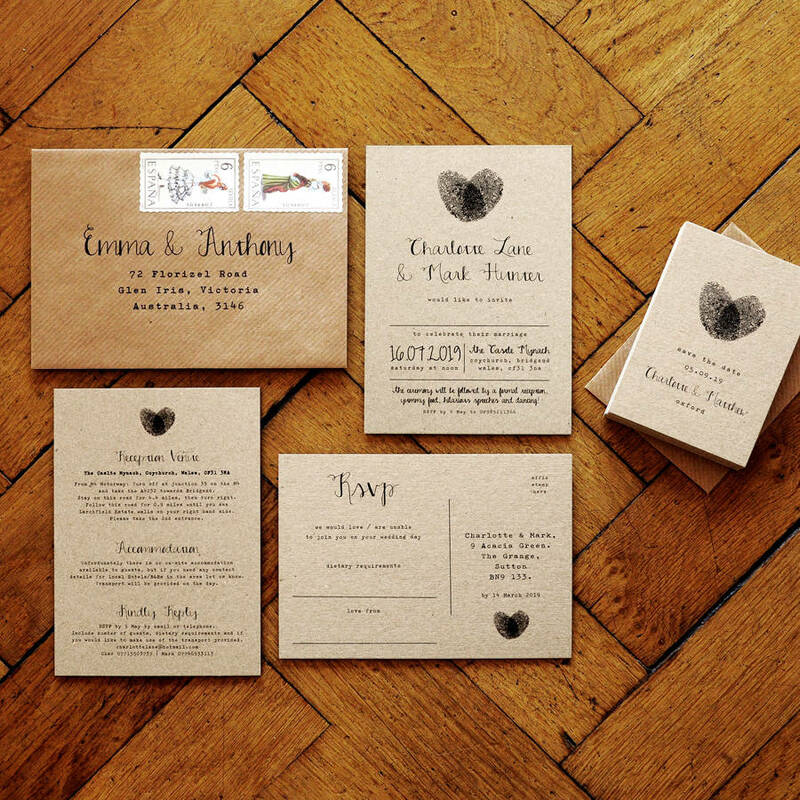 We have been designing for luxury events for over 10 years and appreciate how important a high quality formal invitation is in setting the correct tone for your wedding day. This suite is available in any colours, but we recommend a dark tone, graphite grey or plain black. 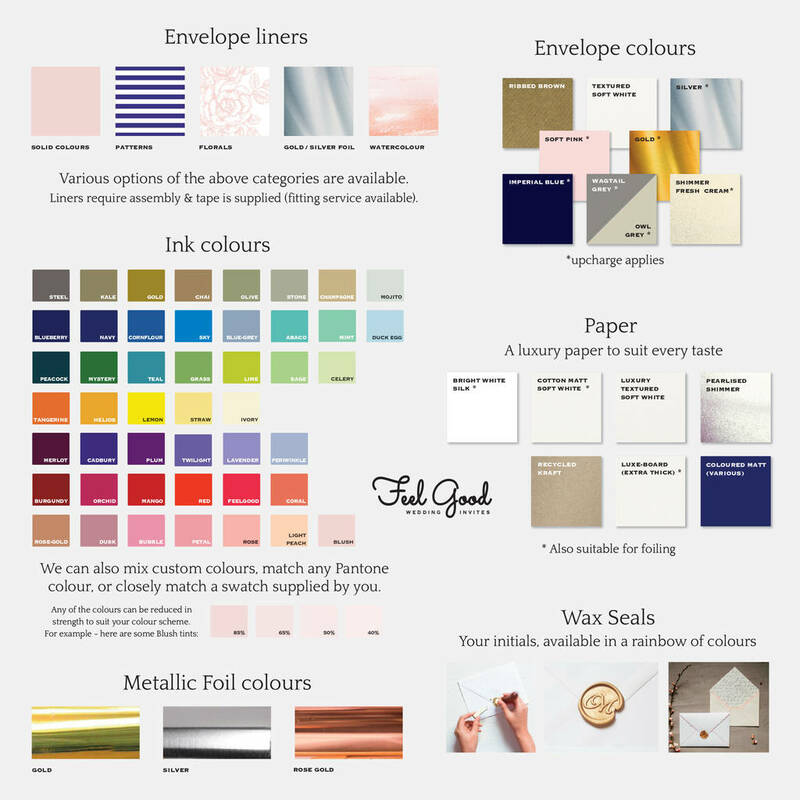 Let us know if you would like to see previous customers' colour scheme. 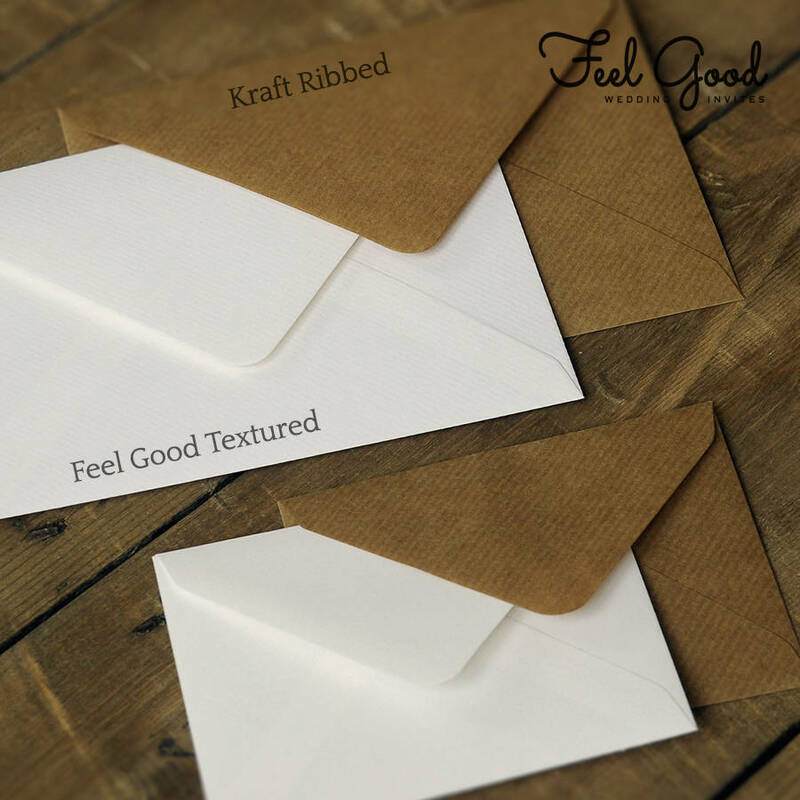 Our eco friendly kraft card is 100% recycled and has a tactile fibrous finish. 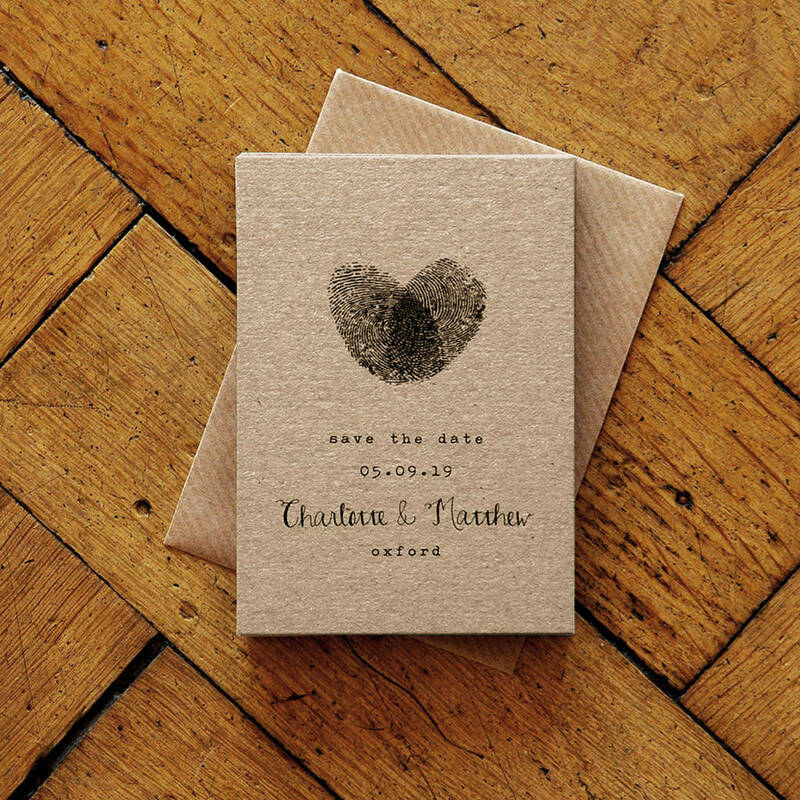 This card is 280gsm. 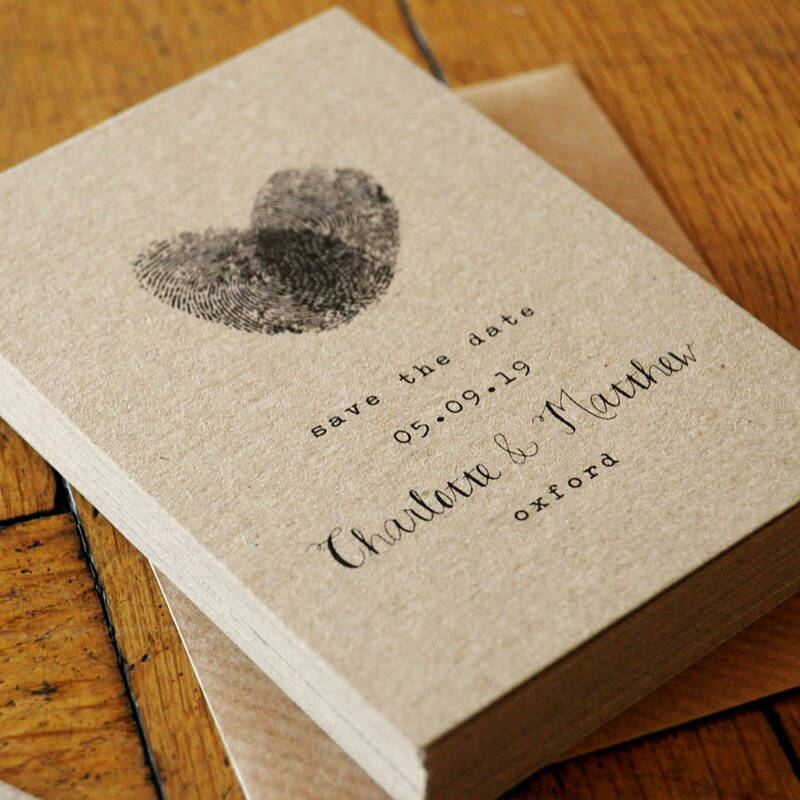 White textured card is also avaiable and the prints can be coloured to suite your wedding scheme. 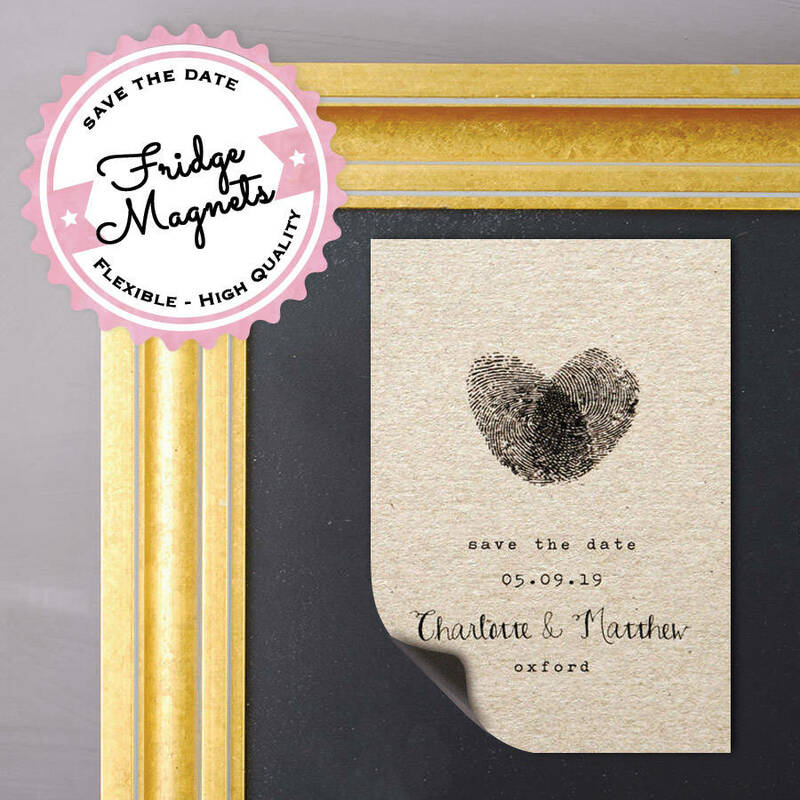 We use lucia pigment based inks which ensure the the blacks are crisp. This ink will not fade for up to 20 years. 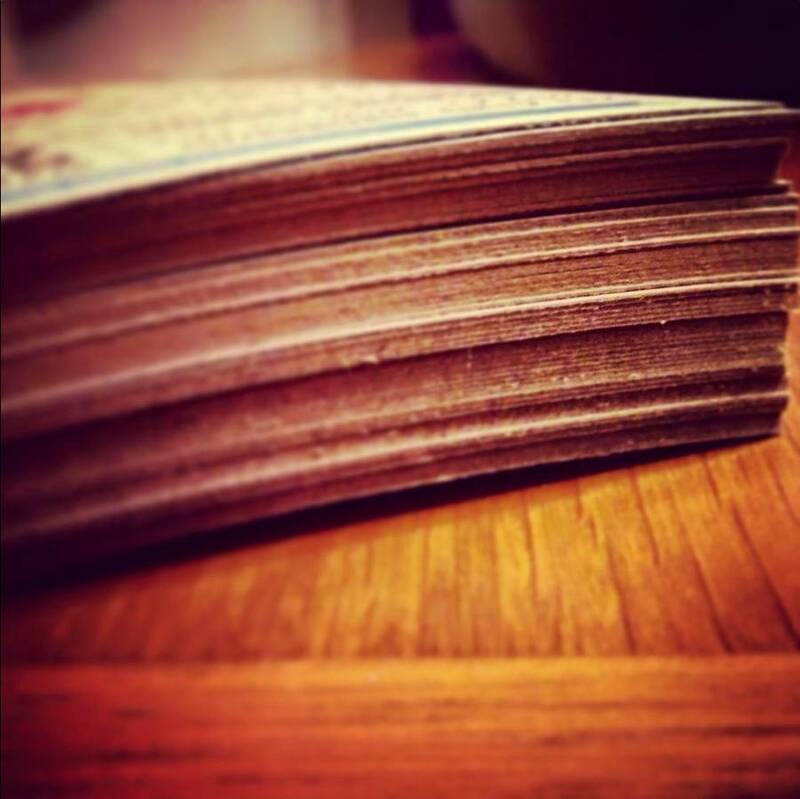 These invitations are 100% recycled. 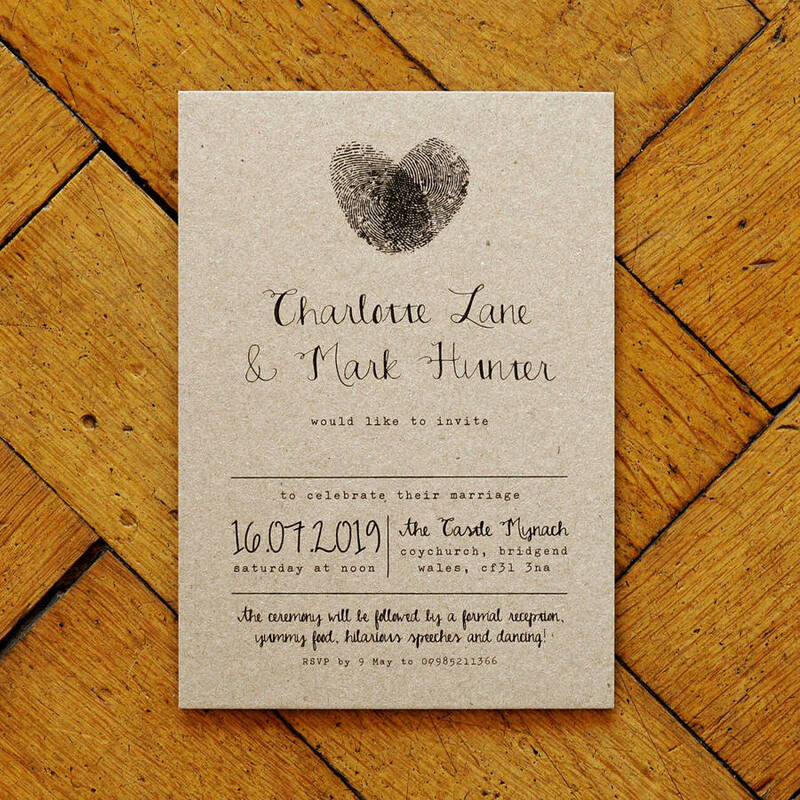 All items within this suite are A6 (14.8 x 10.5cm) except Save the date which is A7, and Order of Service which is A5 (21 x 14.8cm).